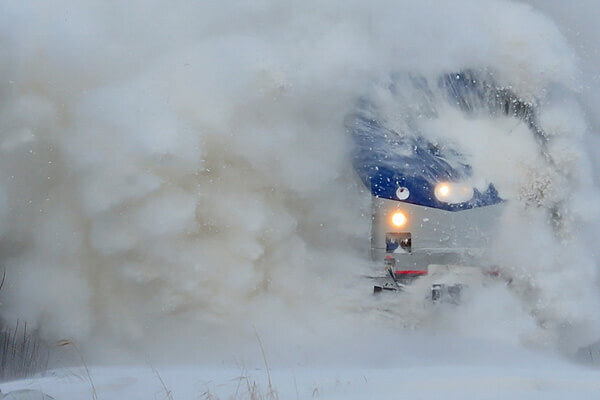 Take the Canadian just once, and you’ll understand why this iconic rail journey has lasted the test of time. VIA’s flagship route is taken by more than 100,000 passengers annually, has become a traveller’s must-do when touring Canada, and has even inspired the Bank of Canada to immortalized it on its $10 bill. This legendary train has been taking passengers from Toronto to Vancouver and back again since 1955, but it is the breathtaking scenery, the friendly service and world-class dining along the way that has established its reputation as Canada’s ultimate rail journey. And the experience continues to get better. In 2012, VIA Rail completed a two-year $22-million modernization project, enhancing the journey for every passenger with greater comfort, superior facilities and even better services. Canada is famous for its environmental diversity, from dense boreal forests to expansive prairies, and the towering magnificence of the Canadian Rockies to the splendour of the Pacific coast. In just four days, the Canadian takes you through them all, providing you with unparalleled views of the most spectacular scenery every moment of your journey. Discover Canada’s true beauty while travelling in full comfort between the nation’s key cosmopolitan centres of Toronto and Vancouver. 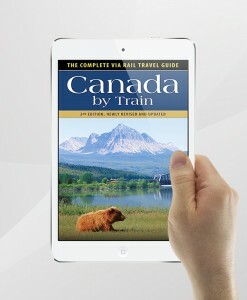 The mile-by-mile route guide is detailed on pages 142-185 in the newly revised Canada By Train: The Complete VIA Rail Travel Guide. Be more than a passenger. Know the history. Understand the landscape. 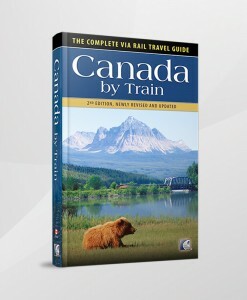 Canada By Train: The Complete VIA Rail Travel Guide is the essential companion to a remarkable rail adventure. Buy the guidebook, or download the PDF eBook, NOW!